As a recruiting tech vendor, our commitment is to provide a service which always meets the evolving needs of our customers. Since we came out of beta 12 months ago, we've recognised that the employers who were having the greatest success in hiring developers on our platform were those who had a long term strategy of relationship building with the tech communities they cared about. Moving away from the legacy practice of transactional job posting has long been part of our vision at Workshape.io. We are firm believers that the most successful model of talent discovery involves employers having an 'always on' approach to tech hiring, connecting with developers without agenda and on topics beyond the immediate requirements to 'fill a role'. Workshape customers will now be able to maintain a year long presence on platform, have significantly lower unit costs on individual job listings, as well have the ability to engage with matched developers without the worry of job expiry. 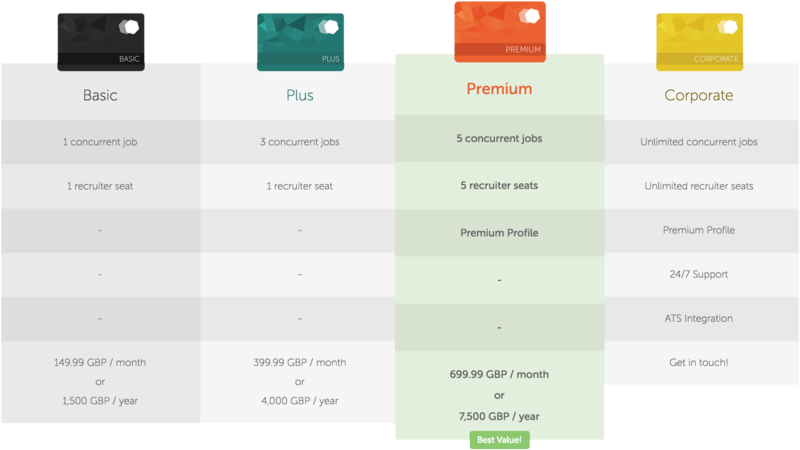 Employer Profiles will be coming soon too, for those on the Premium and Corporate Plans. Things have also got better for companies who only need to hire for a single developer. Our subscriptions plans are flexible and can be bought monthly or annualy. This means a 30 day job listing for any employer will now cost on averarge 50% less than under the previous rate card. If you represent a business that is looking to grow it's engineering team this year, I invite you now to apply for an employer account with us. I promise you, you won't regret it.